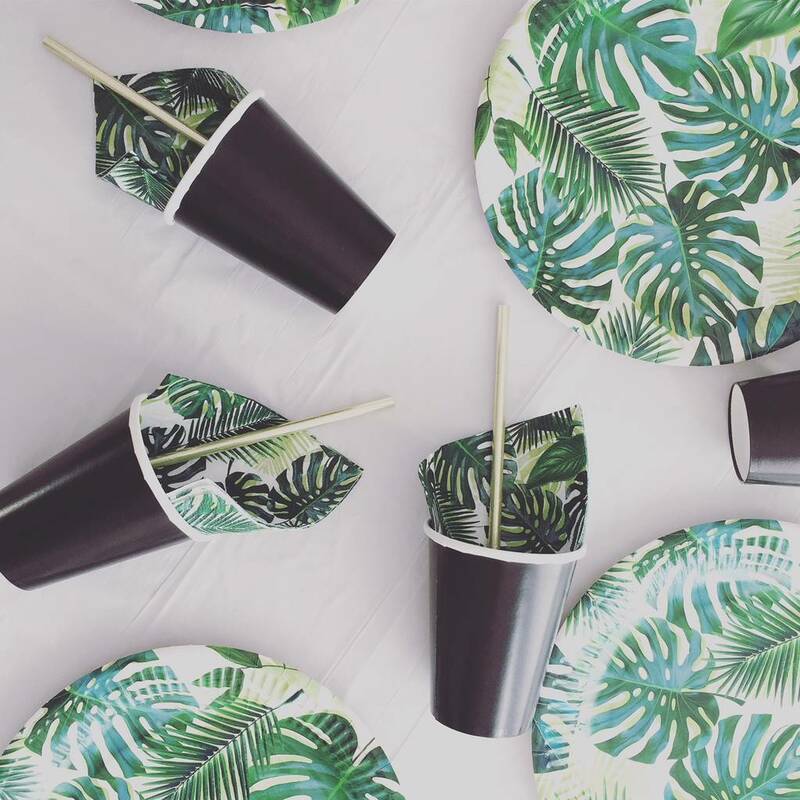 This super cool party box creates the perfect leafy green party scene, ideal for a tropical, explorers, dinosaur or simply botanical theme. Each party box can be ordered for either 8 or 16 guests. Balloons can be inflated with either air or helium, if helium filled they have an approximate float time of 6 hours. If filled with air only inflate using a balloon pump. 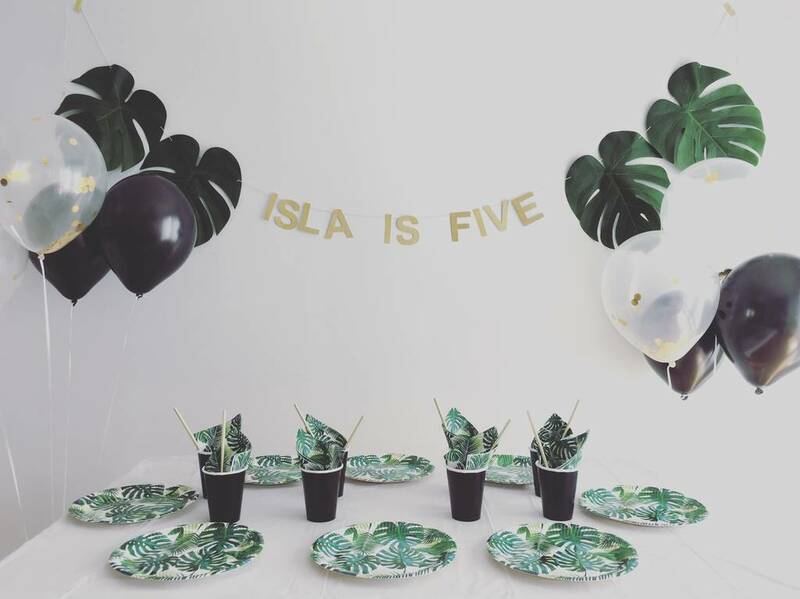 Each garland can be personalised to any text you would like (up to 14 characters). 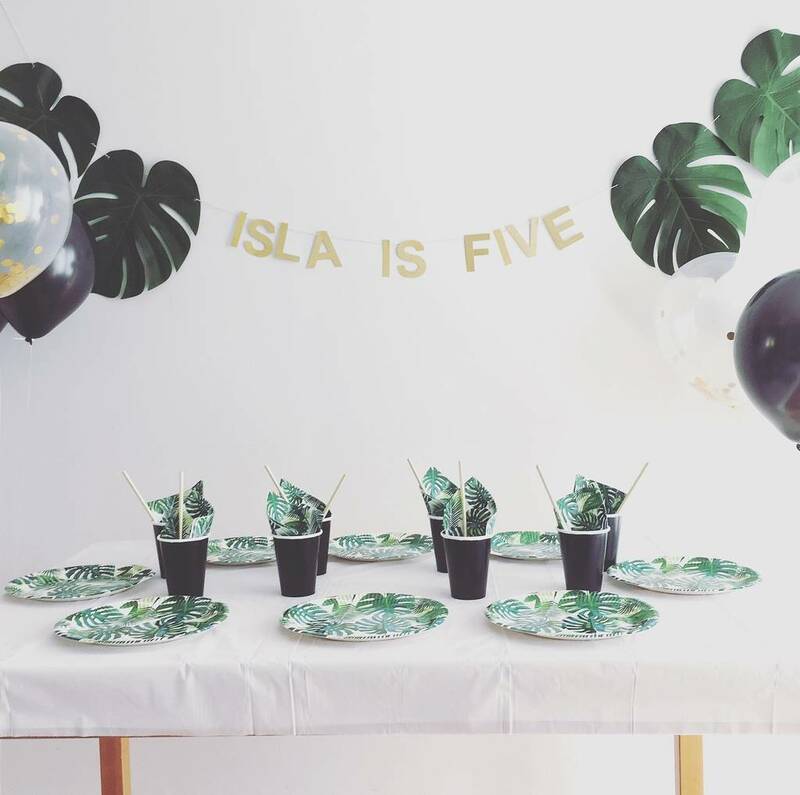 Set of eight includes, eight plates, eight napkins, eight black cups, eight gold foil straws, four gold confetti balloons, four black balloons and a personalised gold glitter text garland. 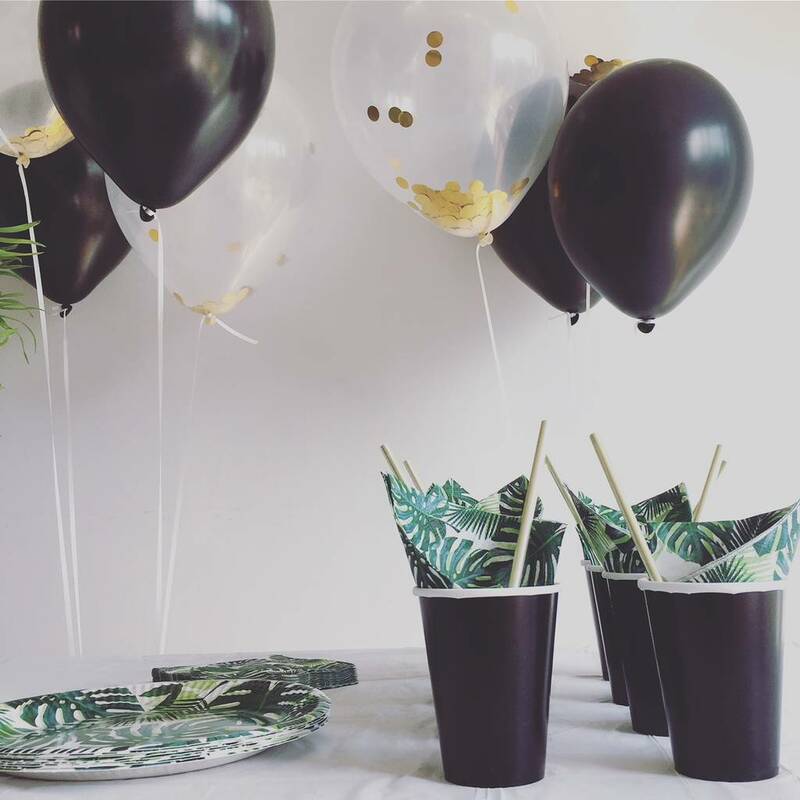 Set of sixteen includes, sixteen plates, sixteen napkins, sixteen black cups, sixteen gold foil straws, eight gold confetti balloons, eight black balloons and a personalised gold glitter text garland. 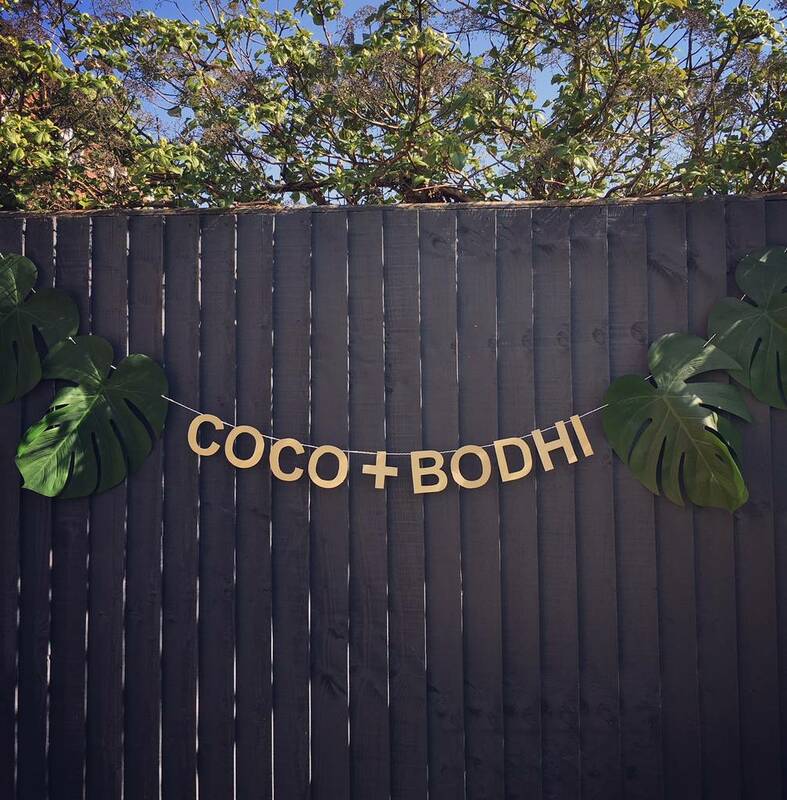 Monstera leaf and word garland is made from plastic, non shred glitter paper, and twine. Plates cups and straw are paper. Please note that MiniTinsel products are created for use as decoration and are not intended for use without adult supervision. This product is dispatched to you by MiniTinsel.